Babbling Brook Farm has been breeding Labrador Retrievers for nearly 30 years. 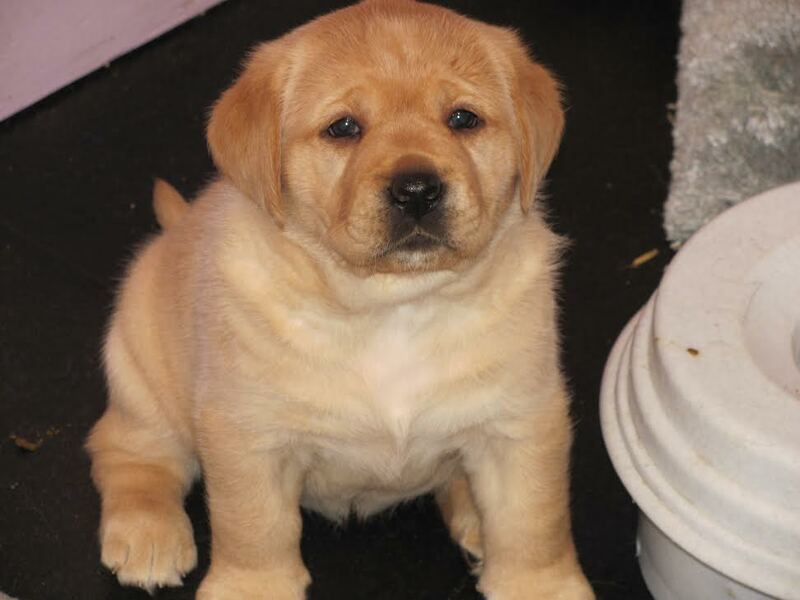 The main goal is to breed Labs that are beautiful, healthy and have wonderful temperaments. With 13 years of history and experience in Search and Rescue and 6 dogs certified, it's proof you can have well behaved, gorgeous dogs with that hunting ability that Labs are renown for. All of our breeding dogs have clearances for hips, elbows and eyes. We put in the utmost care and thought when it comes to our puppies! All of the puppies are home raised in a room outfitted for their health in mind. The floor is designed to help strengthen their legs from day one, and they don't touch grass or dirt until you take them home. Socialization with humans starts early, and our practices include studying and observing each one to learn their personalities, temperaments and comfort level. Our goal is to meet the expectations of the families that we place them with so that the newest member of your family fits right in! Currently, we do not have any puppies available. Check back in mid-summer 2018! As always, when you look for a pet, make sure that you fully educate yourself first. The American Kennel Club (AKC)describes Labradors as Friendly, Athletic and Outgoing and are classified as part of the Sporting Group. Typically, they come in three colors: Black, Yellow and Chocolate. Labs are strongly built, high energy, medium sized dogs that are known for their friendliness and loyalty. The average lifespan is 12 to 14 years, often filled with a passion for running, fetching, swimming and socializing. But in addition to your dog, it's important to also have a Veterinarian you trust and feel comfortable with. As the breeder, we will be there to help you with any questions you have! Click Here for the AKC Page about Labrador Retrievers!